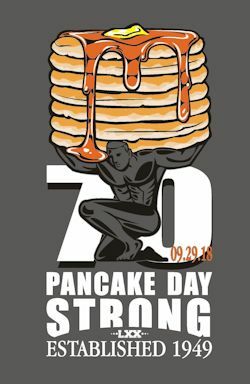 This year’s theme is in celebration of the 70th Annual Pancake Day on September 29, 2018. 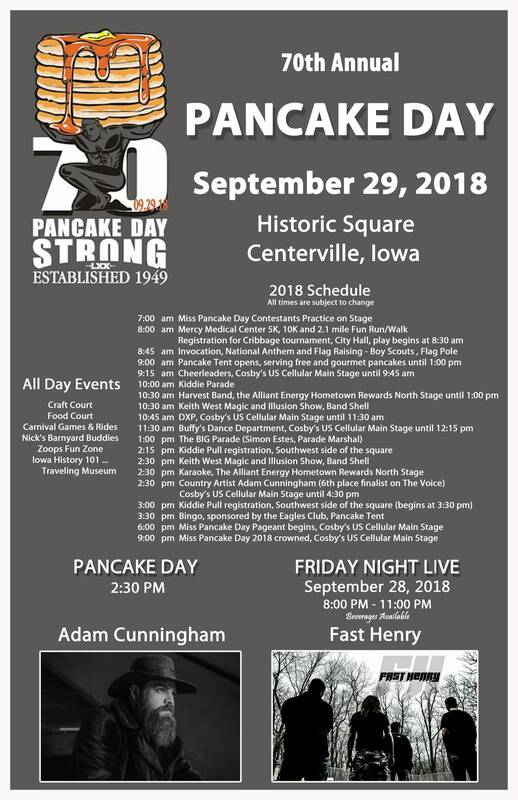 The volunteers, committee members, and the Centerville and surrounding communities have made this event a success, so this year we honor the strength of all those involved in making Pancake Day Strong! T-Shirts, long sleeve shirts, sweatshirts and hoodies are available NOW to purchase! Visit the Chamber on the Southwest corner of the Centerville Square OR contact the Chamber at: 641-437-4102 OR email Chamber@centervilleia.com to get yours today! This YouTube clip shows the importance of making sure your kiddo's are sitting at the curb and not into the street! Kiddie Parade Guidelines (sign up: DAY OF). 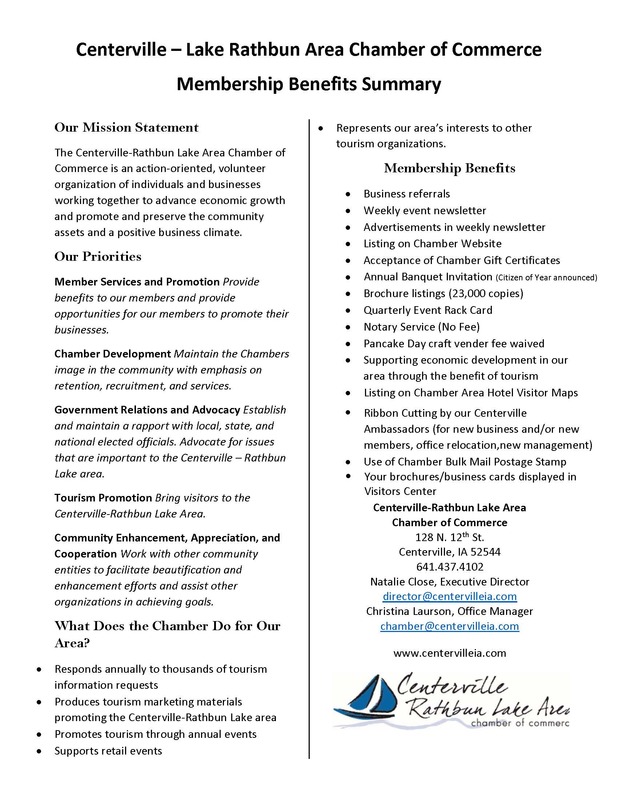 © Copyright 2019 Centerville-Rathbun Area Chamber of Commerce. All Rights Reserved. Site provided by GrowthZone - powered by ChamberMaster software.